A brilliant addition to the Capital In Ground series, You will need reasonably firm ground to use this kit as the frame sits on a ledge in the ground before you dig-out the inner hole. 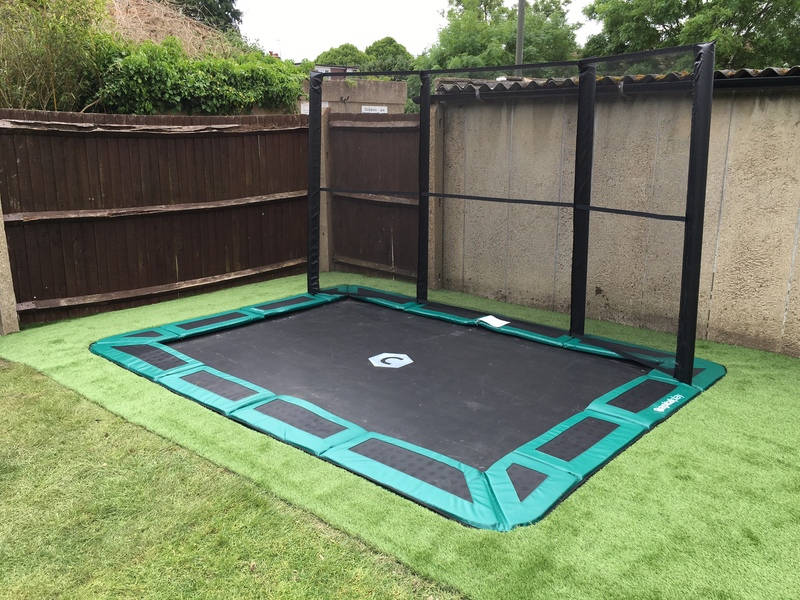 This safety enclosure is designed to fit the 10ft x 6ft in-ground trampoline. This 10ft by 6ft half-net offers great protection for in-ground trampolines. This 10ft by 6ft corner-net offers great protection for in-ground trampolines. Protect the trampoline from the effects of weather throughout the year.